Adorable bracelet from calypso studios. Wire base is flexible to slide over hand. 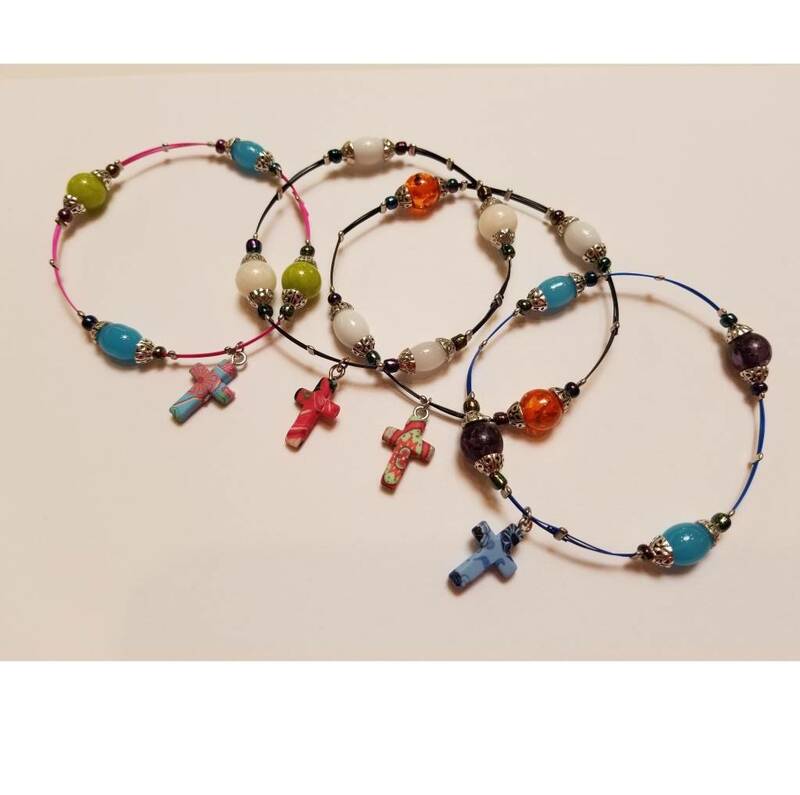 Each piece features colorful glass beads and a dangling clay cross.